SEOUL — From kicking out North Korean workers and ending visa-free travel for its citizens, to stripping flags of convenience from its ships, Cold War-era allies from Poland to Mongolia are taking measures to squeeze the isolated country. More such moves, with prodding from South Korea and the United States, are expected after North Korea recently defied U.N. resolutions to conduct its fifth nuclear test. North Korea's limited global links leave most countries with few targets for penalizing the regime on their own. Mounting sanctions over the years have made Pyongyang more adept at evasion and finding alternative sources for procurement, a recent paper by experts at Harvard University and the Massachusetts Institute of Technology found. 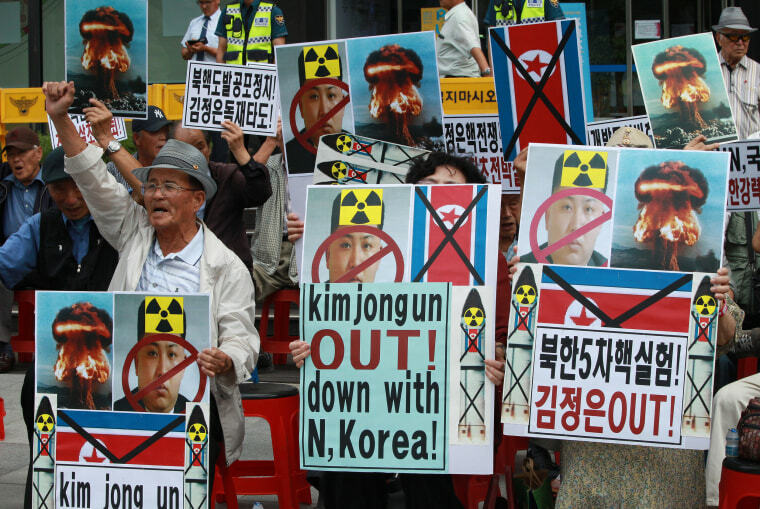 Nonetheless, South Korea has been especially active in pushing the North's allies for unilateral action in hopes of reining in Pyongyang's arms program. "If long-standing friends of North Korea continue to publicly curb their ties with the country, Pyongyang will have fewer places overseas where its illicit networks can operate unhindered or with political cover from the host capital," said Andrea Berger, deputy director of the proliferation and nuclear policy program at the Royal United Services Institute. Angola, for one, has suspended all commercial trade with Pyongyang, banning North Korean companies from operating there since the U.N. toughened sanctions in March, a South Korean foreign ministry official told Reuters recently. Earlier this year, Washington urged countries to curb the use of North Korean workers, who number roughly 50,000 and generate between $1.2 billion and $2.3 billion annually for Pyongyang, according to a 2015 U.N. report. Poland, which hosted as many as 800 North Korean workers, according to some estimates, this year stopped renewing visas, as did Malta. Travel restrictions have also increased, with Ukraine recently revoking a Soviet-era deal that allowed visa-free visits for North Koreans. Singapore, which has been a hub for North Korea-linked trade, will require visitors from the country to apply for visas starting next month, its immigration authority said in July. The vast majority of North Korea's trade is with China, and experts warn sanctions will have limited impact without Beijing's backing. China condemns Pyongyang's nuclear program but is also its chief ally and is unwilling to pressure leader Kim Jong Un's regime too far, fearing a collapse that would destabilize the entire region. That means agreeing significantly tightened U.N. sanctions could be difficult. Some of the most tangible results of recent efforts to isolate North Korea have seen countries ban its ships from their registries. North Korean-owned vessels are suspected of using other flags to camouflage the movement of illicit cargo. Landlocked Mongolia, which is among Pyongyang's steadiest allies but also has close ties with Seoul, canceled the registrations of all 14 North Korean vessels flying its flag, according to a report it submitted to the U.N. in July, even though sanctions compelled it to act on just one of them. Cambodia, once the most popular flag of convenience for North Korea, ended its registry scheme for all foreign ships in August, although it did not single out North Korea.